We are proud to be the only rescue centre in Vietnam has a successful track record in the rehabilitation and breeding of Owston’s Civets. 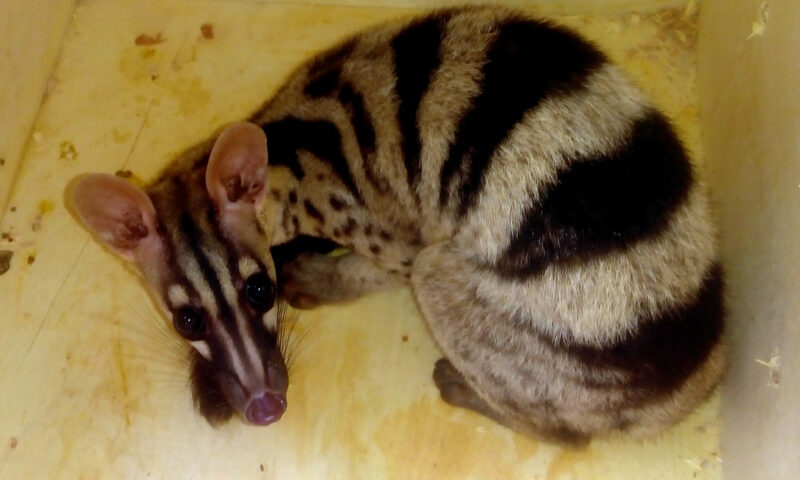 We managed to rescued three beautiful, endangered Owston’s palm civets from Da Lat city with the help of local rangers. One of the trio had infection in his tail and our Vet took care of that. The Owston’s Civet is one of the rarest civet species in Vietnam. It is classified in group IIB under Decree 32/2006/NĐ-CP and prioritized for protection by the Government. In order to ensure confiscated Owston’s Civets and other wildlife will be transferred to rescue centres, Save Vietnam’s Wildlife conducted an Owston’s Civet Awareness Campaign in late 2014. Since 1995, the CPCP/Save Vietnam’s Wildlife is the only rescue centre which has a successful track record in the rehabilitation and breeding of Owston’s Civets. 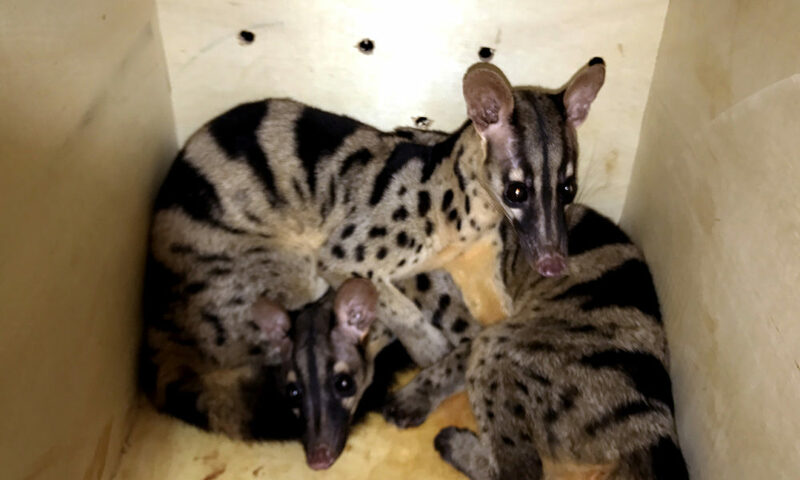 If you are in possession of an Owston’s Civet, or have made a sighting, please contact CPCP/Save Vietnam’s Wildlife at 0978.331.441 to give this rare species a better chance of survival.